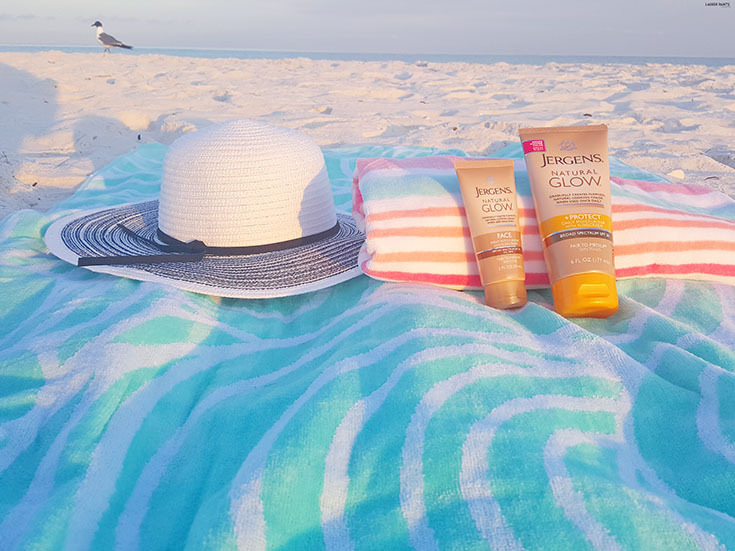 How to Achieve The PERFECT Summertime Glow without The Sun! I'll be real with you, every single year I aspire to achieve the perfect tan with a dreamy summertime glow. 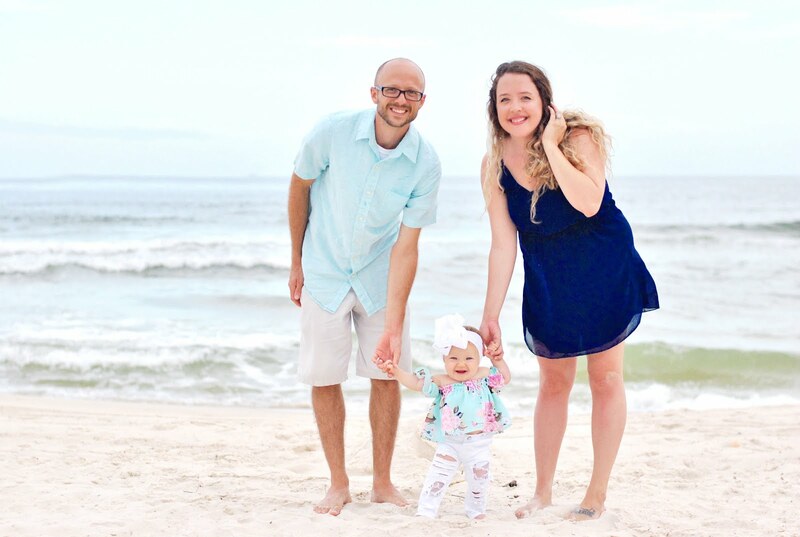 This year is a little different though, I'm expecting little Miss Delainey and that means my skin isn't the same anymore - I burn easily and I literally can't soak up the sun like I used to! If you've been pregnant during the summer, you know your skin gets a little crazy from all the hormones and you no longer absorb the UV rays like you did in the past... and if you're not one for the soaking up the sun in general, you know how difficult it can be to not look ghostly in photos once summertime rolls around. 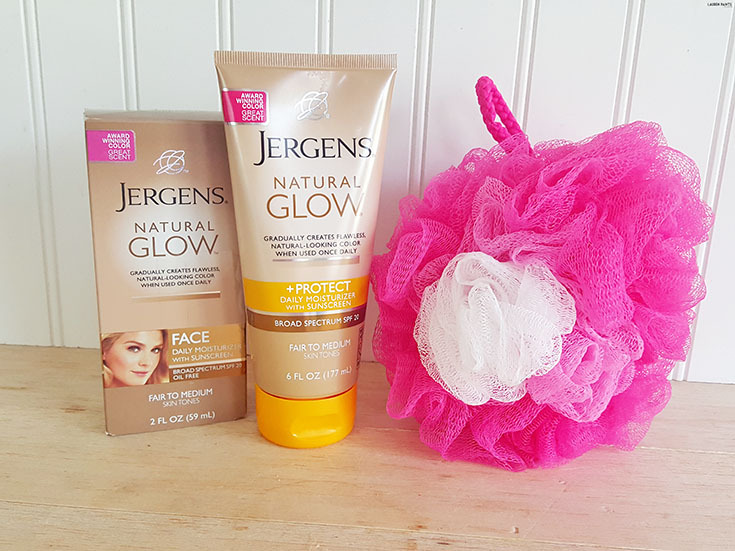 That was my dilemma, I still wanted to be tan & achieve my summertime glow for all the important events coming up... but I wasn't sure how I was going to do that. 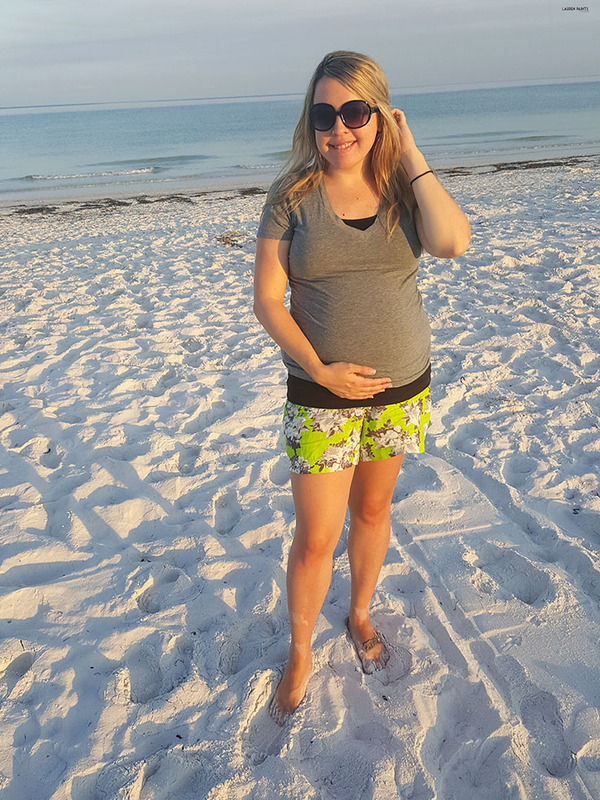 With two baby showers, maternity photos, and a trip to visit our family on the agenda this summer, looking my best is important to me! That's why finding a way to get the perfect tan and my summertime glow was vital! 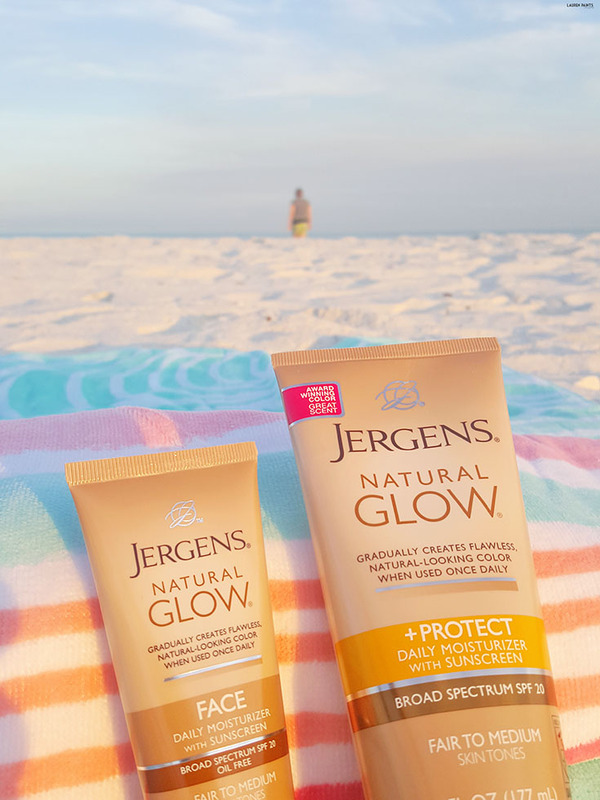 Luckily, I found JERGENS® Natural Glow® +PROTECT Daily Moisturizer with Sunscreen Broad Spectrum SPF 20 just in time, with just the right amount of sunscreen for incidental sun! 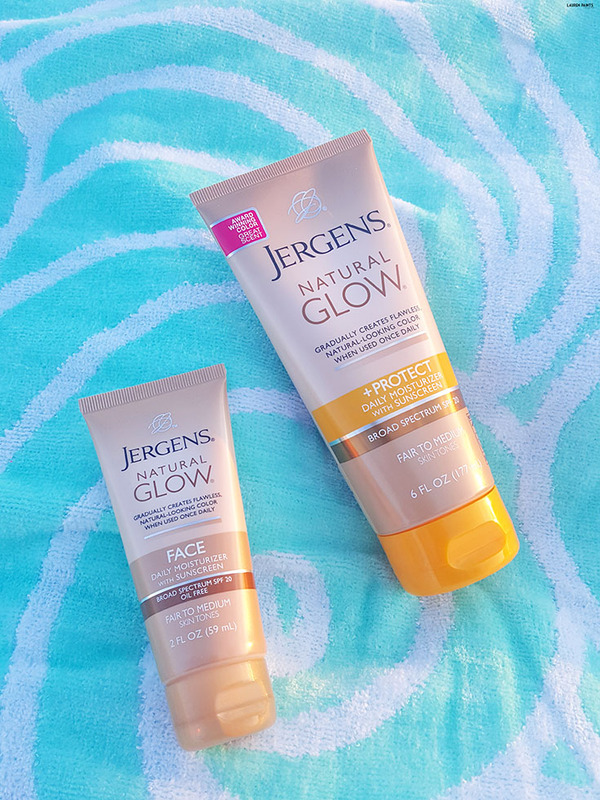 Paired with JERGENS® Natural Glow® FACE Daily Moisturizer with Sunscreen Broad Spectrum SPF 20 for my cheeks, I feel like my normal summertime self. 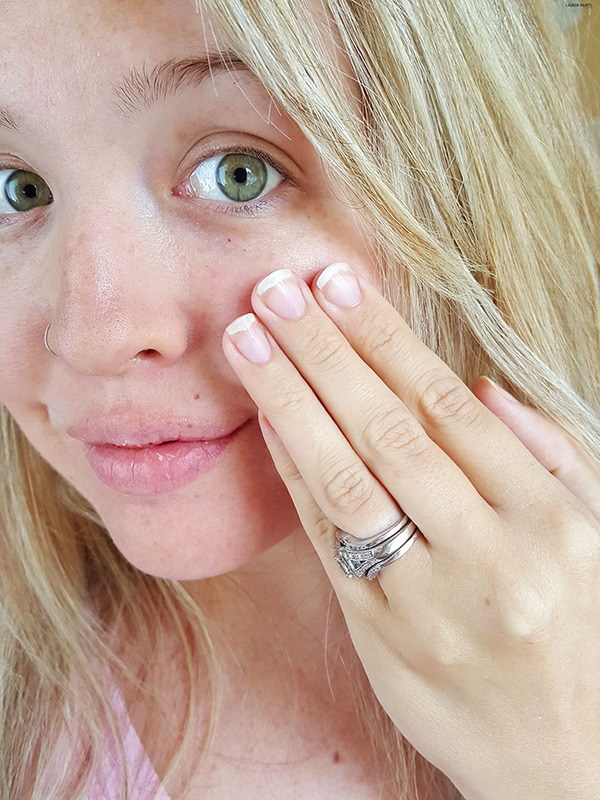 You'll want to start by making sure your skin is super exfoliated and feeling soft! I use a gentle formula with beads to make sure it takes off the dry skin and of course, a loofah is absolutely necessary to buff the rough parts of your body like your elbows, your knees, etc. After your skin is perfectly smooth, you'll apply the glow facial moisturizer to your beautiful face. Making sure to apply it evenly, up into your hairline and along your jawline to assure you have no funky "tan" lines! Wash up your digits and then add some of the glow moisturizer with 20 SPF to your hands and apply all over you body. From your chest to your toes, apply an even layer. No worries about looking streaky though, that's why this glow moisturizer is perfection - it's a gradual formula so you can slowly adjust your color without looking like a zebra! Use it daily, until you achieve the glow you're looking for, then just re-apply once or twice a week to maintain your color. Now that you're glowing, make sure to embrace your new shade and find the perfect outfit to match! 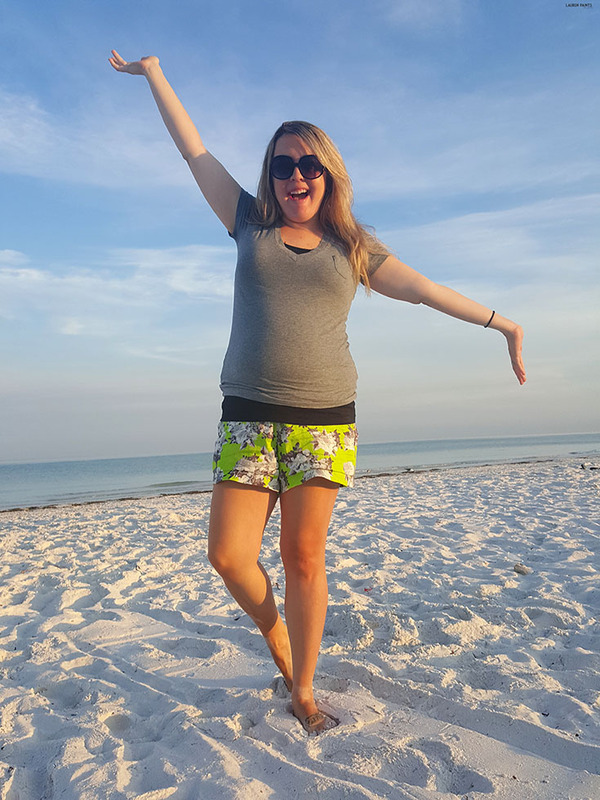 I'm obsessed with neons once my skin is looking tan so I opted for a pair of neon green shorts! If you're looking for the perfect outfit to wear with your new tan, I highly suggest grabbing for a funky pair of shorts like these or maybe a fun frock in the shade of coral, an all white outfit would be super flattering as well, if you dare, or even a great new peach dress to make your tan skin really pop! Just make sure you choose a fun, new color to show off your new look! 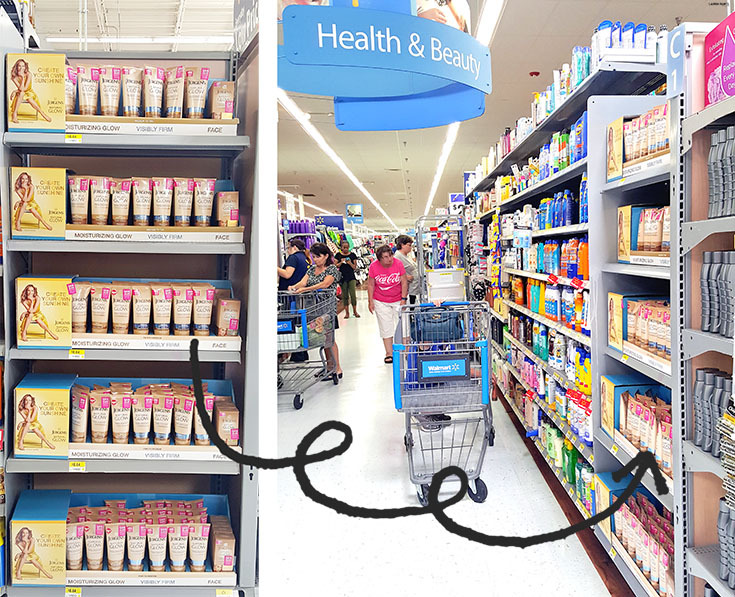 After your glowing & your outfit is "on fleek", you're ready to take on your day! After applying my new tan, I spent my morning strolling on the beach with my hubby! It was a beautiful morning and I felt absolutely beautiful as well. 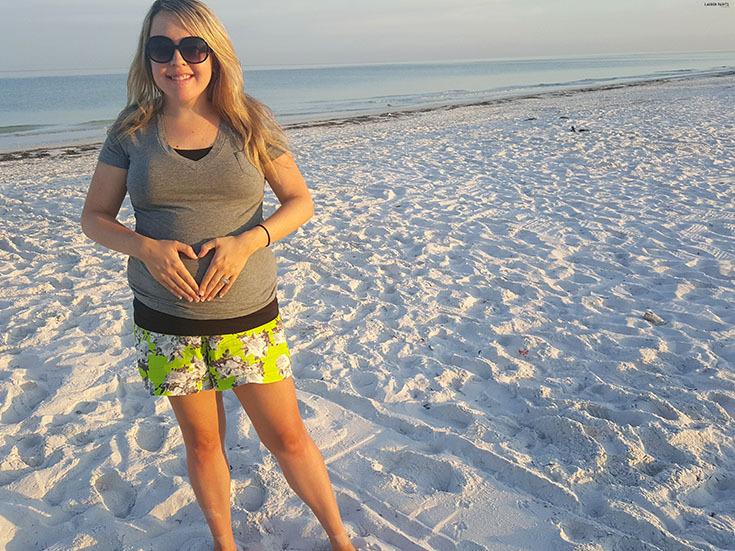 With the 20 SPF Natural Glow moisturizer on both my face and body, my skin was glowing while we strolled along the water! 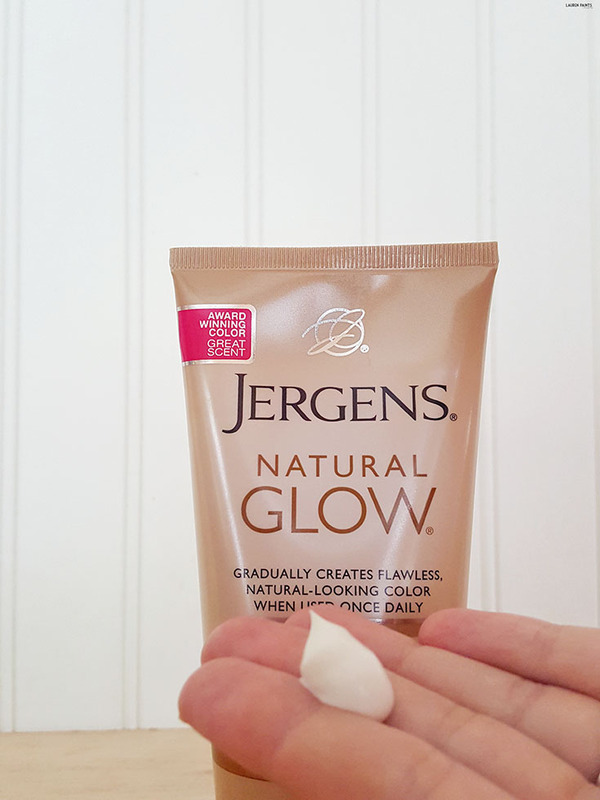 While I supposedly should have a natural glow from pregnancy, I 100% am thankful to JERGENS® Natural Glow® that it's not because I'm ghostly white... Are you looking for a way to achieve a tan without damaging your skin? Do you want to get a summertime glow without having to lay out? I highly suggest you check out these new, amazing moisturizers this summer! 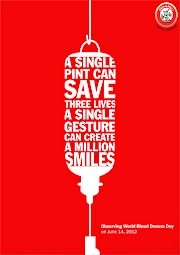 So tell me, what do you have on your agenda this summer? 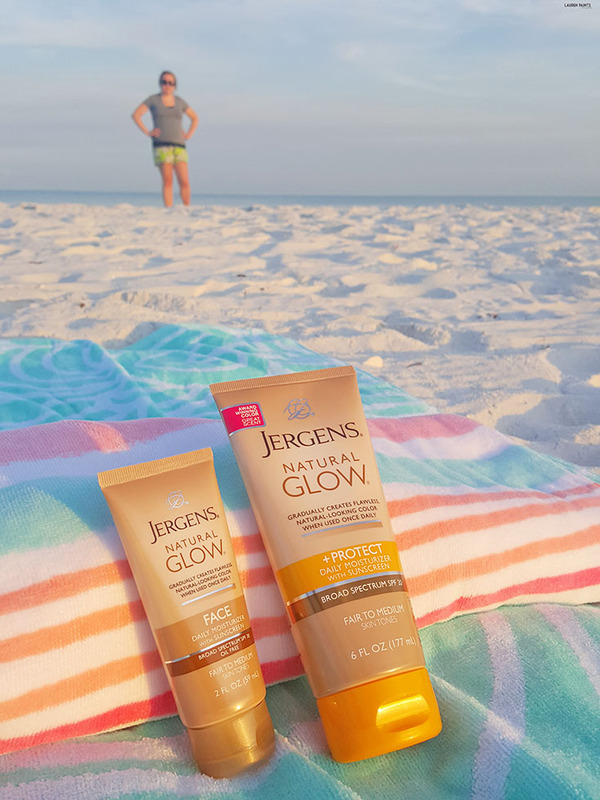 I'd love to hear all about it below... and don't forget: If you're planning an impromptu trip to the the coast or wanting to look fab for your besties wedding, then JERGENS® Natural Glow® is the perfect way to achieve the look you want!